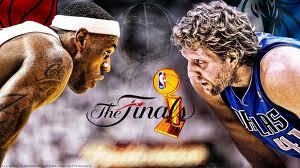 Dirk Nowitzki is the truth, an automatic shooter with an uncanny amount of big time buckets. His trademark shot was virtually undefendable. There is no comparison for Nowitzki, despite what your favourite draft analyst has tried to sell you, each, and every draft the past decade. Nowitzki released that ball high off his back-foot, while fading, and yes he was a legitimate seven footer. Nowitzki’s accomplishments are sometimes lost in the shuffle of a great era that saw Shaquille O’Neal, Tim Duncan, Kobe Bryant, and LeBron James dominate the media. But, the list of 13x All-Stars who won a Championship, Finals MVP, and MVP award all while playing for the same team is short. Arbitrary criteria or not, it shows the kind of player Nowitzki was. 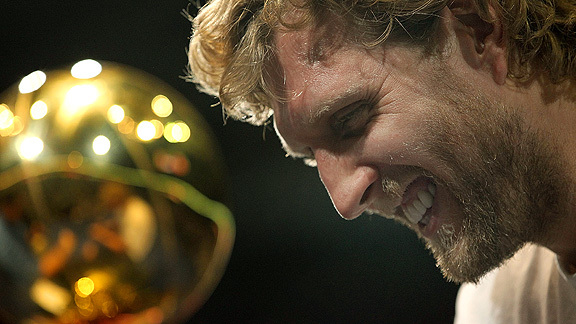 Nowitzki finished third in MVP voting in 2005 and 2006 before ultimately winning the award in 2007. His prime was elite, his longevity speaks for itself; but what set him apart was his ability to lead by example. Nowitzki was no stranger to personal sacrifice on or off the court, whether it was his shot count or contract negotiations Nowitzki stepped up to the plate. Nowitzki put his team first, a trait that both the Mavericks and their fan base will be forever grateful. How did the guys rank him? The Flag Bearer: Marc Griffin (12). The Barn Burner: Justin Rowan (31). How did the other guys rank Nowitzki: Josh Eberley (15), Justin Salkin (16), Will Reeve (16), Matt Drappel (22), Justin Termine (23), Lang Greene (26), Adi Joseph (28), Robert Littal (28), James Holas (28), Jacob Noble (30), Shane Young (30), and Brian Geltzeiler (30). Don’t like it? Think we got it wrong? Maybe, just maybe we got it right? Let us know using the #HCHot50 hash-tag. Or give the contributors hell, contact info below. Any tweets with #HCHot50 may be featured on the site going forward, tweet us your feedback! How is Kevin Garnett better than Dirk Nowitzki in the power forward position? Being more emotional and animated should not be the reason, right?